Conditions to Use of Site. No Legal or Tax Advice. The Site, including the content on the Site, is provided solely for general informational purposes. Any opinions expressed on the Site are the opinions of the particular author and may not reflect the opinions of the Firm or any individual attorney. The information presented on the Site is not legal, tax or other professional advice, is not intended to be relied upon, may not be current, and is subject to change without notice. Because the Site is general in nature and may not pertain to your specific circumstances, you should not act or refrain from acting based on the content on the Site without first obtaining advice from professional counsel qualified in the applicable subject matter and jurisdiction. The Firm enters into attorney-client relationships only after executing an engagement letter and addressing potential conflicts-of-interest. No attorney-client relationship or other confidential, fiduciary or privileged relationship is created between you and the Firm or any of its attorneys in connection with your access to and use of the Site, use of the content on the Site, or transmission of e-mails addressed to the Site or to any individual attorney. Unless you have an attorney-client relationship with the Firm, it has the right to use or disclose any information submitted to it. Therefore, you should not send the Firm any confidential information in connection with your use of the Site or content on the Site unless the Firm has agreed to act as your legal counsel and you have executed an engagement letter with the Firm. Neither the Site, nor the content on the Site is intended to constitute, and it does not constitute, an advertisement or solicitation for the formation of an attorney-client relationship. Under the rules of professional conduct on the practice of law in some jurisdictions, portions of this Site may contain material that is nevertheless deemed to constitute attorney advertising. Access Subject to Local Restrictions. The Site is controlled and operated by the Firm from the United States, and is not intended to and shall not be deemed to be subject to non-U.S. jurisdiction or laws. If you choose to access the Site from other locations, you do so on your own initiative and you are solely responsible for compliance with all applicable local, state and federal laws, rules and regulations in connection with your access to and use of the Site as well as content on the Site. 9.1 THE SITE AND ALL CONTENT ON THE SITE ARE PROVIDED TO YOU ON AN “AS IS” “AS AVAILABLE” BASIS WITHOUT WARRANTY OF ANY KIND EITHER EXPRESS OR IMPLIED, INCLUDING BUT NOT LIMITED TO THE IMPLIED WARRANTIES OF MERCHANTABILITY, FITNESS FOR A PARTICULAR PURPOSE, AND NON-INFRINGEMENT. 9.2 THE FIRM MAKES NO REPRESENTATIONS OR WARRANTIES AS TO THE ACCURACY, TIMELINESS, COMPLETENESS OR RELIABILITY OF ANY CONTENT AVAILABLE ON OR THROUGH THE SITE. YOU ARE RESPONSIBLE FOR VERIFYING ANY INFORMATION BEFORE RELYING ON IT. USE OF THE SITE AND THE CONTENT AVAILABLE ON THE SITE IS AT YOUR OWN RISK. 9.3 THE FIRM MAKES NO REPRESENTATIONS OR WARRANTIES THAT USE OF THE SITE WILL BE UNINTERRUPTED OR ERROR-FREE. YOU ARE RESPONSIBLE FOR TAKING ALL NECESSARY PRECAUTIONS TO ENSURE THAT ANY CONTENT YOU MAY OBTAIN FROM THE SITE IS FREE OF VIRUSES OR OTHER HARMFUL CODE. 9.4 IN NO EVENT SHALL THE FIRM BE LIABLE UNDER ANY THEORY OF TORT, CONTRACT, STRICT LIABILITY OR OTHER LEGAL OR EQUITABLE THEORY FOR LOST PROFITS, LOST REVENUES, LOST BUSINESS OPPORTUNITIES, EXEMPLARY, PUNITIVE, SPECIAL, INCIDENTAL, INDIRECT, CONSEQUENTIAL, OR SPECIAL DAMAGES, ARISING OUT OF OR IN ANY WAY CONNECTED WITH ACCESS TO OR USE OF THE SITE, THE CONTENT AVAILABLE ON OR THROUGH THE SITE (INCLUDING ON LINKED SITES), EVEN IF SUCH DAMAGES WERE FORESEEABLE or THE FIRM HAS BEEN ADVISED OF THE POSSIBILITY OF SUCH DAMAGES. The Firm’s Copyright Agent for notice of claims of copyright infringement can be reached at jt@ternan.law. United States law provides significant penalties for submitting such a statement falsely. 12.1 Principal Office, Responsible Attorney. ​Jack Ternan is the attorney responsible for the content of this website. 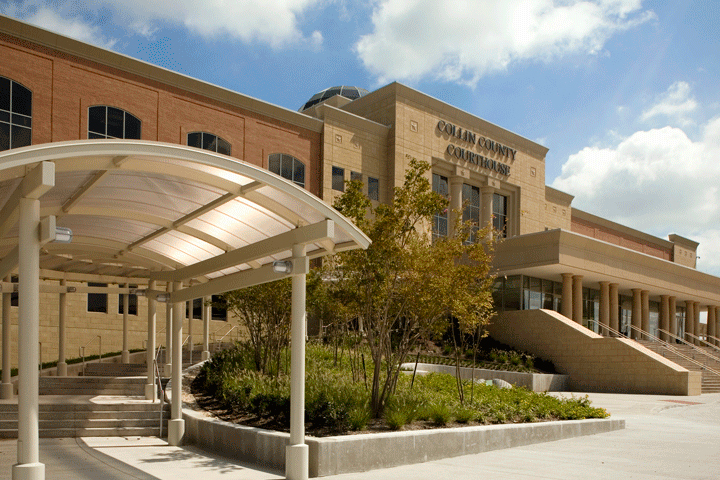 The Ternan Law Firm, PLLC's principal office is located in Plano, Texas. 12.3 Venue. You agree to submit to the personal and exclusive jurisdiction of the federal and state courts located in Collin County, Texas, for adjudication of any and all disputes between you and the Firm relating directly or indirectly to these Terms, and waive any jurisdictional, venue or inconvenient forum objections thereto. If you have any concerns about the material which appears on the Site, please contact the Firm at jt@ternan.law.